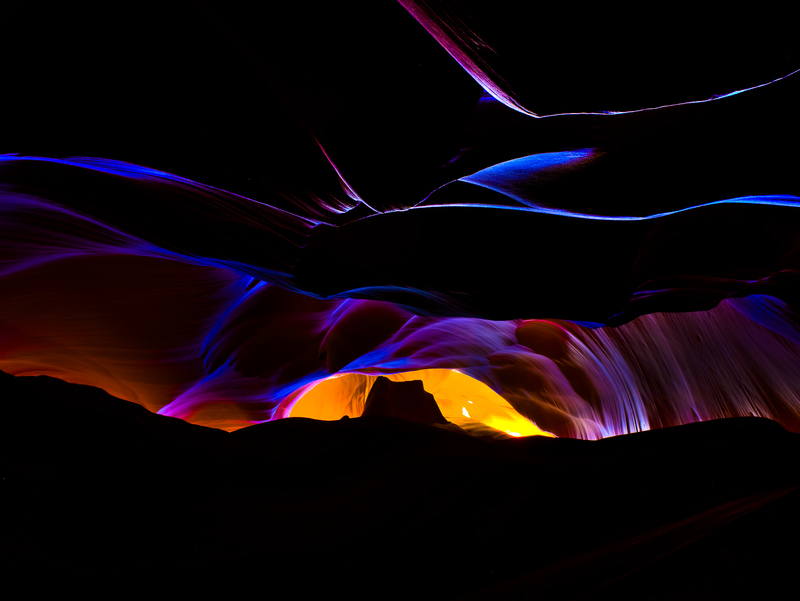 Of all the numerous shapes and patterns this is one of my favorites in the slot canyons. Monument Valley is erected from the rocks and in my mind's eye I see storm clouds rolling in as the sun begins to rise. What do you see? Photo © copyright by Lance B. Carter.